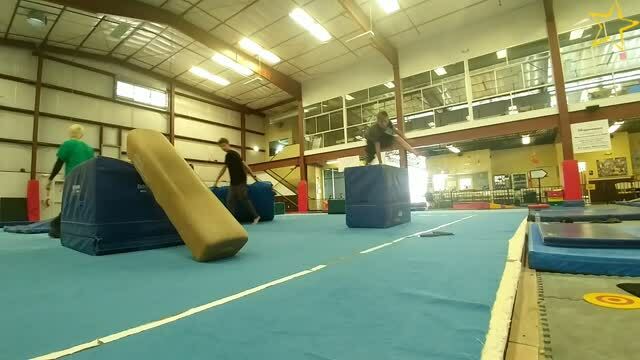 Check out our awesome Agility Class video! Check out Agility Extravaganza on Thursdays and Fridays 5:30-7:30pm! Our “Agility” class is based upon the successful, swift and energy-efficient traversing of one’s surrounding environment via the practical application of techniques, based around the concept of self-preservation and the ability to help others. Skills such as jumping, climbing, vaulting, rolling, and swinging are practiced in a padded, matted and safe environment. "Agility...it's awesome! You can find agility and gymnastics in every day life, it's all around us!" American Ninja Warrior is a show that highlights agility. Our Super Hero Classes incorporate agility as well. Looking for Adult Agility Classes? Check out our Adult Programs!